With Esri's software, NMOC can analyze data collected from the ocean. Redlands, California—Esri, the global leader in spatial analytics, today announced that its technology will be used for the first time with US Navy unmanned vehicle systems to improve how information is gathered before ocean and near-shore operations. Sensor data from maritime remote vehicles is uploaded into a command center where this information can be understood faster and more holistically than ever before. Esri technology knits Navy data together with structured analysis to enable better decision-making. Using Esri’s enterprise software, NMOC can now analyze collected data from the ocean such as water temperature, humidity, wind speed, and topography, all in near real-time. Navy commanders can make faster tactical decisions, better incorporating environmental conditions into operational plans. For instance, before deploying Marines onto a beach in a high-risk area, drones or other unmanned vehicles can perform reconnaissance on environmental conditions and even the presence of hazards such as land mines. 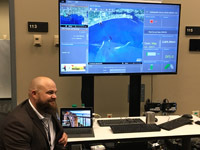 Esri’s mapping and analytics allow data captured from unmanned vehicles to be incorporated into the US Navy’s enterprise to provide enhanced operational intelligence. Before this innovation, marine measurements had to be done by skilled personnel who were covertly inserted into the field. This could be dangerous and costly. Additionally, the time spent to manually integrate data collected into charts took days to complete. NMOC is the US Navy’s premier scientific command, specializing in meteorology and oceanography, and has been using Esri technology since 1997. 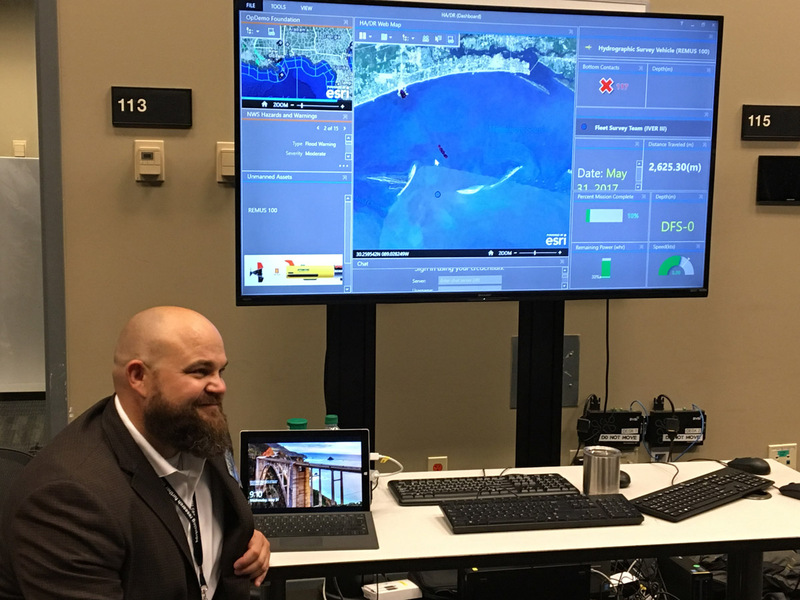 Esri’s advanced location intelligence technology in unmanned systems is on display at an Operational Demonstration in the Gulf of Mexico from May 30 through June 1, 2017, at the Combat Readiness Training Center, in Gulfport, Mississippi. To learn more about how Esri helps organizations use data assets more effectively, visit go.esri.com/Navy2017_PR.